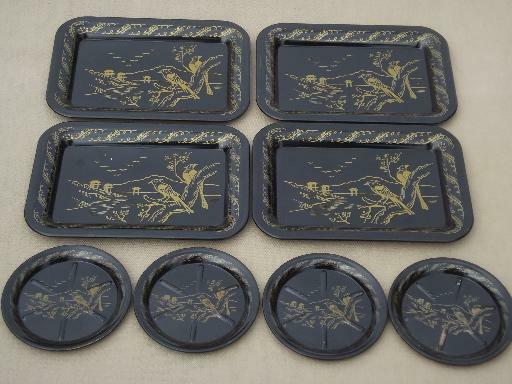 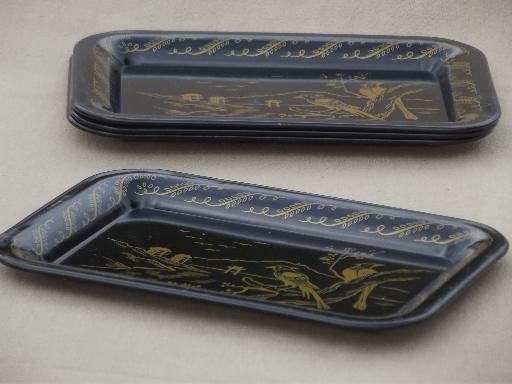 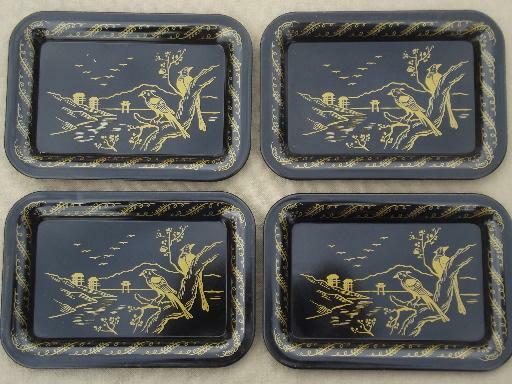 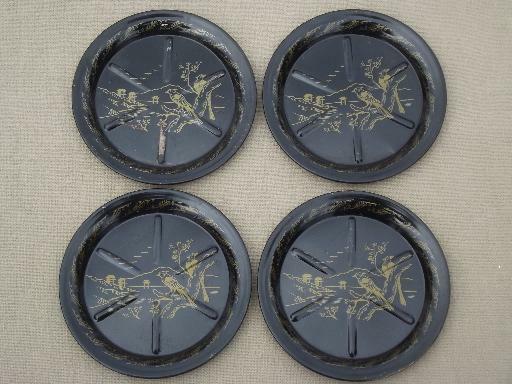 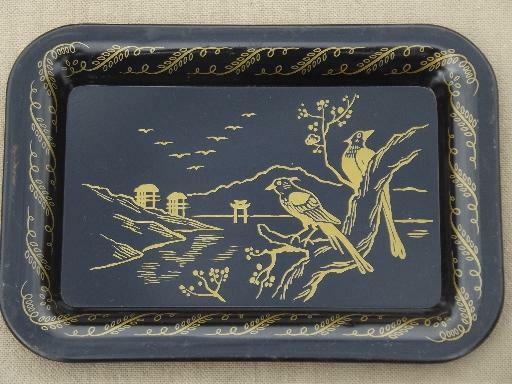 Mid-century vintage cocktail trays and coasters set, all chinoiserie designs in gold on black painted metal, like antique lacquerware. 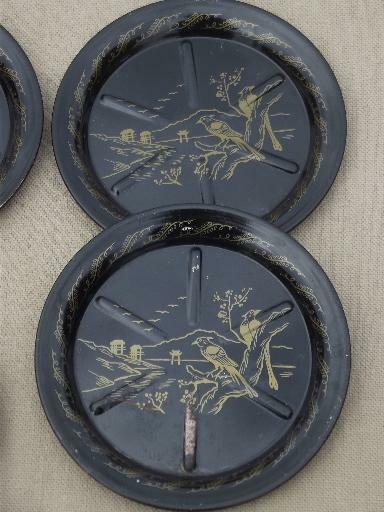 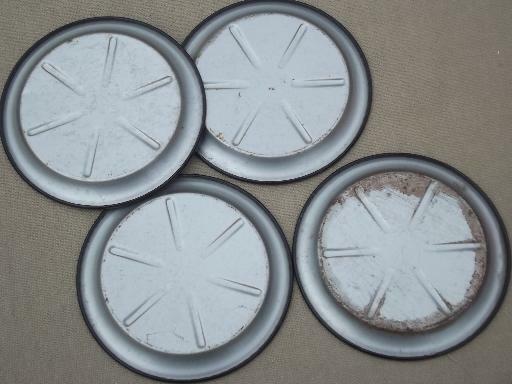 The four trays measure about 6 1/2" x 4 1/2" overall, and the four coasters measure 3 1/2" in diameter. 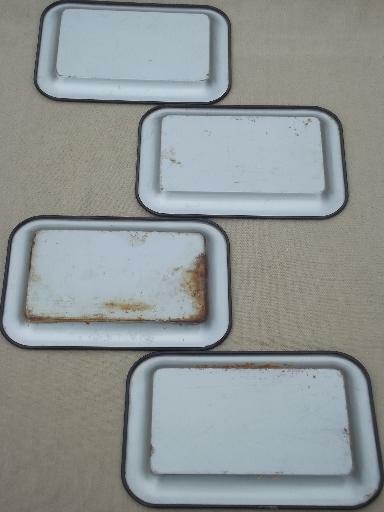 The whole set is in very nice condition.